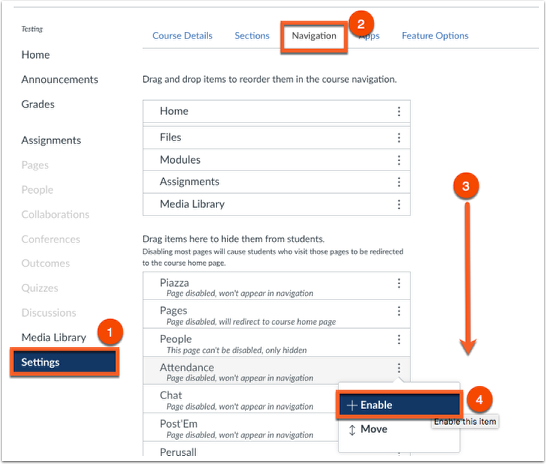 To use the attendance tool, you will first need to activate within your Canvas course. Follow the steps below for activation. 5. Scroll down until you see the Save button. The Attendance Tool will then be enabled. 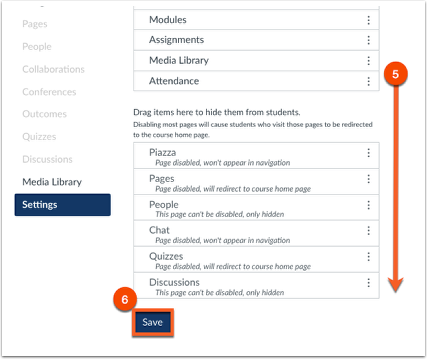 Please visit the Canvas help guides for information on how to use the tool.